Akshay Niwas is an all Suite luxury Boutique Palace with 10 individually designed and well appointed suites and attached large modern baths. All the rooms are tastefully designed and equipped with modern amenities. Every room is perfect blend of traditional style and luxury, appointed to assure you a relaxing stay. The large and spacious rooms have been tastefully equipped with Air-conditioners, LCD's and Tea Coffee Maker etc and attached bathrooms with 24 hours hot water. Baggage Storage on Request, Room Service, Catering, Party Hall, Bar, Coffee Shop/Cafe, Currency Exchange, Swimming Pool, Arcade/Game Room, Travel Counter. Balcony / Terrace, Child Care, Makeup / Shaving Mirror, Television Room, Wakeup Calls, Complimentary Newspaper, Smoking Rooms, Complimentary Toiletries, Internet Access, Ceiling Fan. Breakfast Services, Coffee Shop/Cafe, Doctor on Call, Laundry Facilities, Parking, Restaurant, Room Service, Bar. 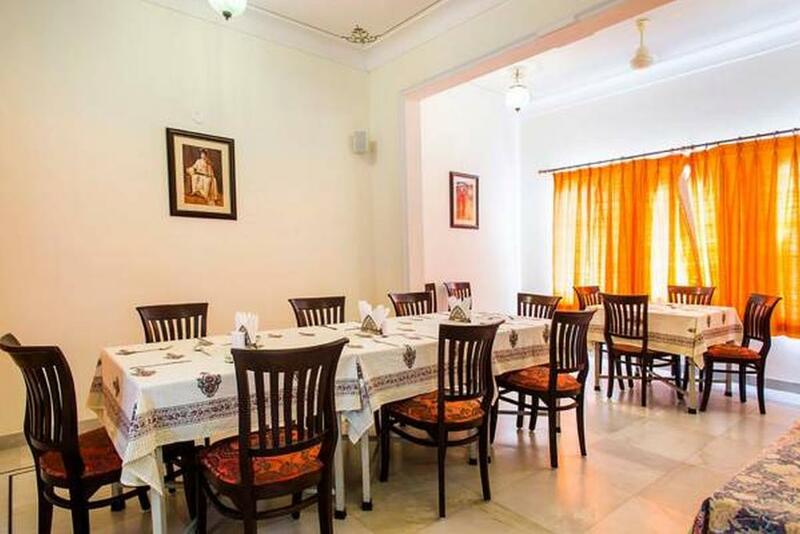 User reviews for "Akshay Niwas Hotel Udaipur"